Home> FAQs> How much does shipping cost? All orders ship from Canby, Oregon. Below you will find a shipping guide. 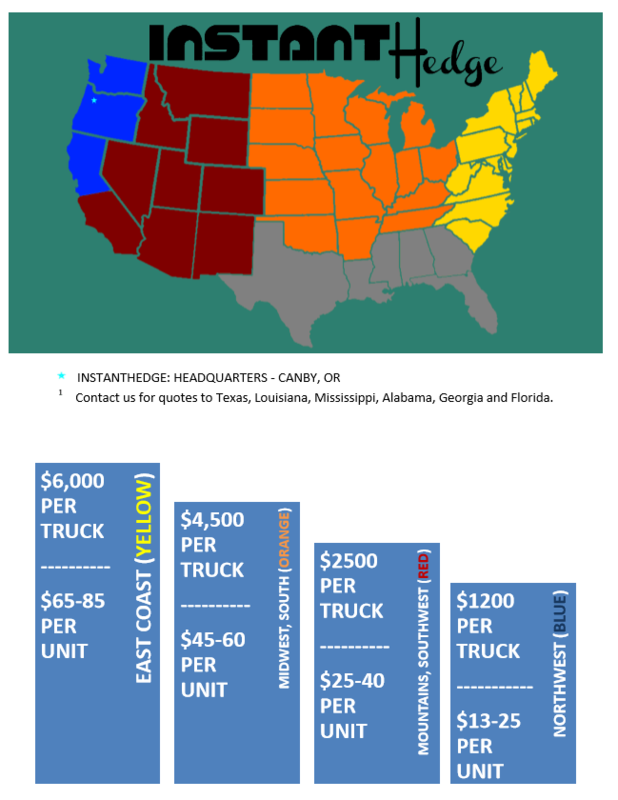 Small orders have a higher per-unit shipping cost than full truckloads. The prices below are estimates. We make an effort to obtain the lowest shipping cost for our customers. Within 2 weeks of shipping we will begin to obtain shipping quotes. Please contact us with additional shipping questions.